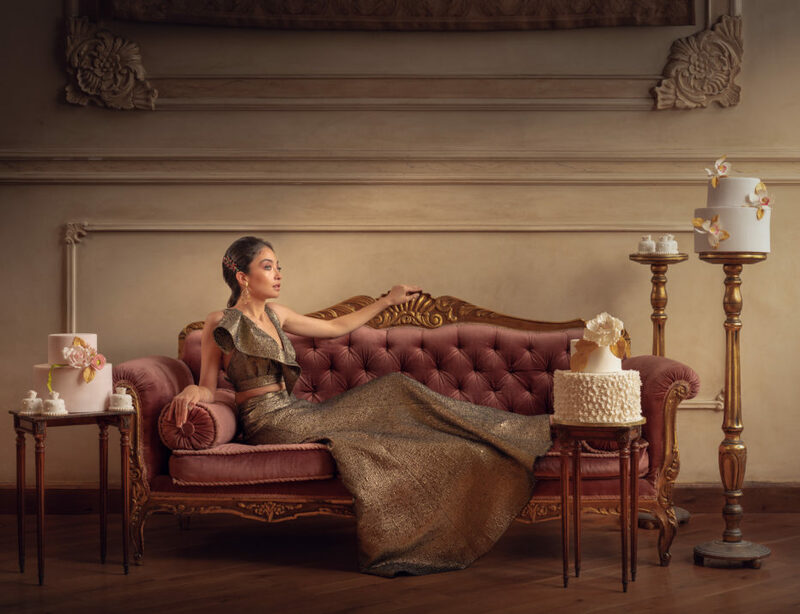 An icon in her own right, Flare PR modernises the life of the last Queen of France, bringing together ensembles as delicious as the cakes they are featured with. There are few things we love as much as a cool collaborative concept, combining and accentuating the work of multiple creatives. For AW19 Flare PR brings us an incredible multi-brand collaboration, ‘The Royal Life of a Modern Marie Antoinette and The Fairytale Cakes’, combining our two favourites; fashion with food. Presenting a selection of cakes that look almost too good to eat, Cake Café adorn their cakes with intricate icing, sparkling crystals and romantic floral work to create a royally luxurious dessert. There are few things we love as much as a cool collaborative concept, combining and accentuating the work of multiple creatives. 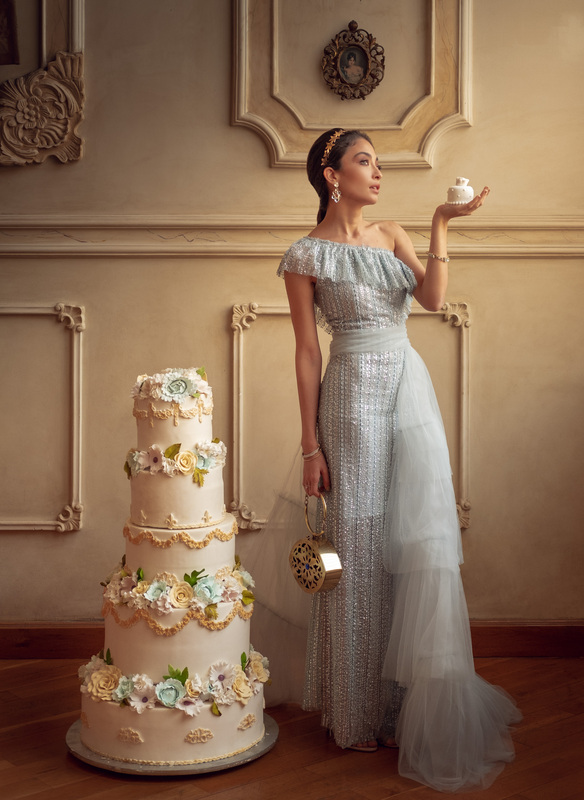 An icon in her own right, Flare PR modernises the life of the last Queen of France, bringing together ensembles as delicious as the cakes they are featured with. Featuring an exquisite couture line-up by Malak El Ezzawy, that incorporates vivid colours and vintage metallics, and accessorised with Cherif El Sirgany’s bespoke diamond jewellery, these images definitely create a visual statement. The quirky headpieces by Halo Heapieces and the strikingly crafted handbags by Suki Designs, succeed in giving the look a contemporary touch to the Baroque and Rococo inspired styles, achieving the perfect balance between tradition and modernity.